The 3 Beards is a short point and click test game designed by Nogoodnik Games. Three hapless adventurers find themselves stranded in the woods and have to figure out how to get home. 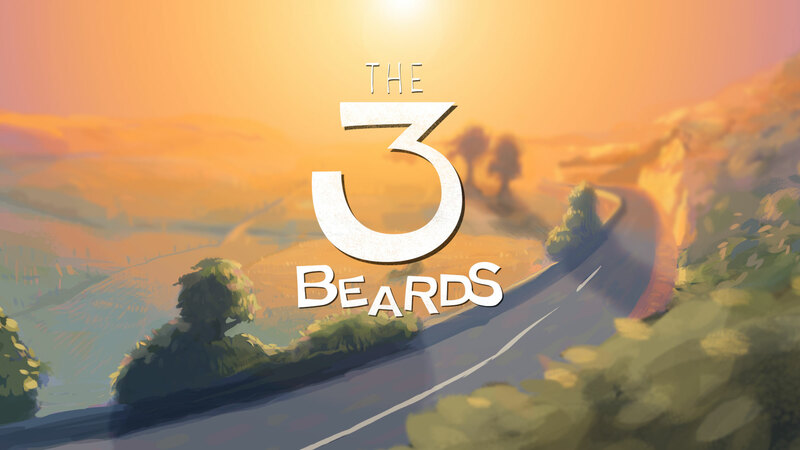 Inspired by classics of the genre, The 3 Beards has its own unique contemporary style. This is intended as a test game only, as an opportunity for the team at Nogoodnik Games to try out some ideas and get some feedback. 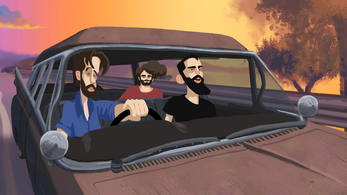 Play it through and tell us what you think. We'd love to hear your thoughts. 1. Download the .zip files for either Mac or PC to your computer. 2. Once download complete, double-click the .zip file to unzip your files. 3. Double-click the .exe file (on PC) or .app file (Mac) to run the game. If you receive a warning that the developer is unverified, please click Run. 4. The game terminal will open allowing you to choose your display quality settings (we recommend Fantastic). 5. Press Play to play the game! Thanks again R Dog! We subscribed- possibly your 100th subscriber? I enjoyed the masses of Lucas Arts references :) Very nice music pick (couldn't figure out credits though). Lovely graphics! Good luck with the future projects! Great playthrough Gavin! Thanks for posting it here with your feedback and the feedback on the video, super helpful for us! The opening subtitles do go way too fast, we'll be more careful with that next time. We made the mistake of trying to squeeze them in to a set timeframe so we could keep the intro short and sweet, instead of making sure people could actually read them! 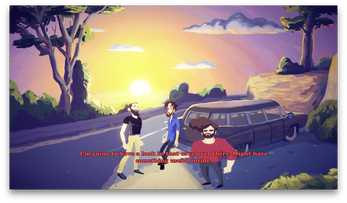 The look of the game and animation is something we spent a lot of time on, so we're glad you like it! This was awesome! 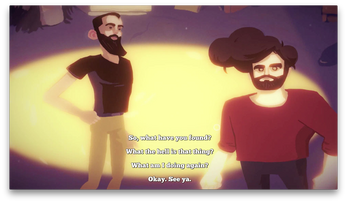 The gameplay, art style and dialogue really reminded me of classic point and click games. I hope to see more in the future! Thanks John! We've got a couple of solid ideas for our next projects and have started on some of the very early development stuff so we're hoping to dive into work on those very soon! Hey loved your game i really like art style and i hope you really enjoy the video. Hey R Dog thanks for playing The 3 Beards! The video was great, a lot of fun to see people like you playing our game and helps us work out how to make our next project even better! Great- let us know when you've posted it and we'll definitely check it out! The cave was full of interesting things to look at and investigate. With such a beautiful art style! Thank you Tooki! We're learning a lot from seeing other people play our game- what works, what doesn't work, what would make it an even more enjoyable experience for players, etc. Thanks so much for posting your play-through! Man, you were quick! Thanks so much for playing & making a video of The 3 Beards. It was a lot of fun to watch you play through and hear your reactions!